Can’t wait to see another National Championship! The No. 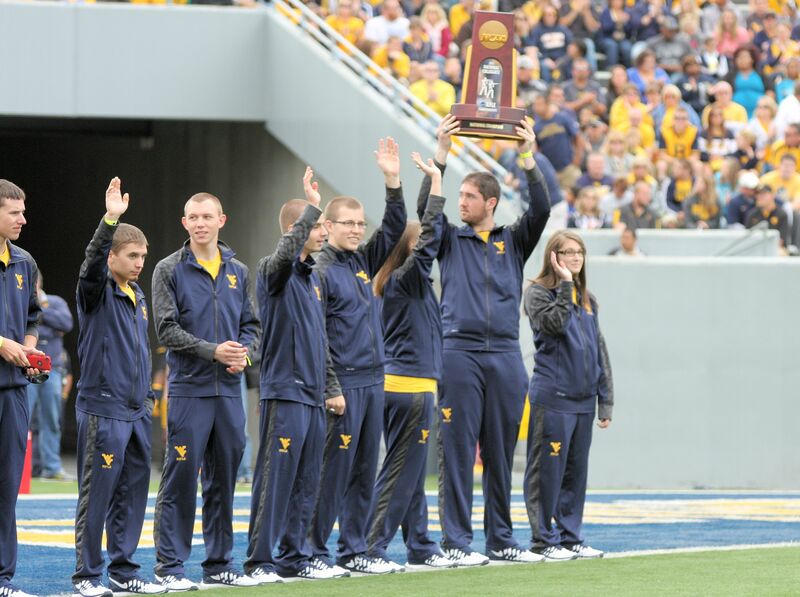 1-ranked West Virginia University rifle team opens the defense of its nation-best 15th national title Saturday, as the Mountaineers welcome Ohio State to the WVU Rifle Range for a shoulder-to-shoulder match. The Mountaineers return to the line following an 11-1 2012-13 season that saw the squad win its fourth straight Great American Rifle Conference (GARC) title and the aforementioned NCAA Championship. Despite the loss of three-time NCAA individual champion Petra Zublasing, the Mountaineers boast a deep roster that looks primed to make another run at the national title. Seven National Rifle Association (NRA) All-Americans return, including four first-team honorees: Taylor Ciotola, Meelis Kiisk, Maren Prediger and Garrett Spurgeon. Coach Jon Hammond returns after winning the 2013 College Rifle Coaches Association (CRCA) Coach of the Year honor, his second career award. Entering his eighth season with the Mountaineers, Hammond boasts two national titles in five years, four consecutive GARC Championships and one undefeated season. He has coached his student-athletes to four individual NCAA titles, 55 NRA All-America honors and seven Capital One/CoSIDA Academic All-America recognitions. Competition will start at 8 a.m. tomorrow and play into the afternoon. Admission is free, and all are invited to the range to watch the Mountaineers and to take a look at the updated hallway.